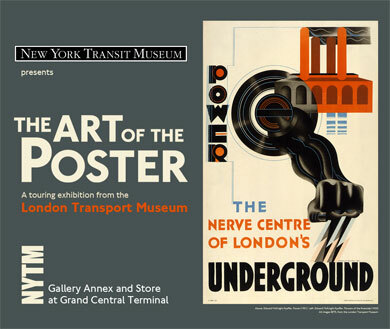 Even if you’re not going to the Olympics, it’s still possible to get around London and environs on the train virtually by stopping into Grand Central to see the last week of the Transit Museum’s Art of the Poster show. You’ll see original artwork commissioned by the London Underground made into posters seen by the riding public over the last 100 years. 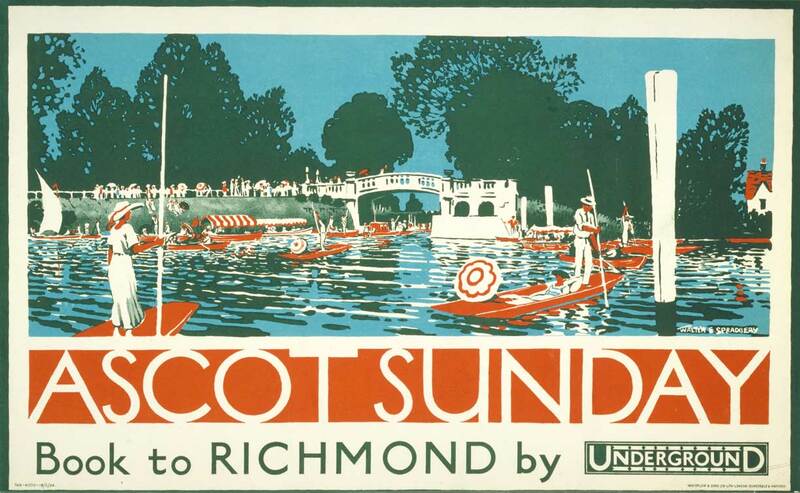 You’ll see how the transit network enticed folks to take the train to the country in 1913, encouraged fashionable people to get to the theater in the 1920s, brought people together during the War, and wryly encouraged courtesy in the 1950s. There’s even a section about the designs that were never used and why. The best known fine artists in the show are Howard Hodgkin and R.B. Kitaj, but you’ll also get to know original work by many innovators in British graphic design and see the differences between the original and the final printed product. If you can’t get to Grand Central, check out the online exhibition on the London Transport Museum’s site.